First Green Certified© Restaurant in the Hudson Valley, Ellenville (Ulster County) NY. New American menu with grass-fed steaks, seafood & vegetarian. One of the best stocked bars in the Hudson Valley with 300 craft beers, 300 wines & independent produced spirits. Hudson Valley Magazine “Best Of” winner 10 years in a row. Awards include: Best Beer Menu, Best Chef, Best Bistro, Best Vegetarian, Best of County & Best Wine List. Trip Advisor's Number 1 restaurant. Ellenville's Number 1 Trip Advisor Restaurant! 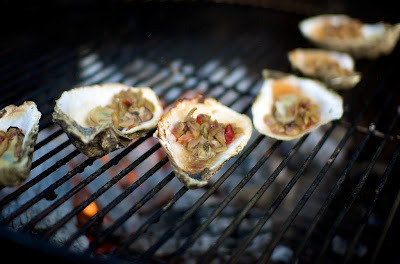 Details: Join us for $12 ten Oysters off the grill, Fried Oysters and beers from Vanberg & DeWulf Portfolio. Lots of Oysters and lots of Belgium Beer!!!! Vanberg & DeWulf has the most decorated portfolio in the annals of U.S. Belgian beer importing. Always these beers come from independent, family-run breweries. From the outset, Vanberg & DeWulf has been dedicated to importing the finest example of every indigenous style brewed in Belgium. In our Belgian Classics collection you will find some sixteen distinct styles: Saisons, Abbey Singels, Dobbels and Tripels, Lambics, Strong Golden Ales, Wit beer, Belgian Pils, Bière de Table, fruit beer, Christmas beer, Belgian Stout, Gruit and Spéciale Ale, even a “sour” Tripel blended with Gueuze, and honey beer. Sometimes they are also organic. These are the creations of five remarkable breweries. The oldest, Dubuisson, was founded in 1769 (before Belgium was a country); the newest, Dilewyns, is less than a year old. As an assemblage they showcase the unrivaled Belgian talent for creating beers of unique flavor, fermentation, aging and ingredients. Respect for tradition and raucous individualism are on display in equal measure. Our love of Belgium, and our desire to have you share our passion, is what drives the curating and editing of the beers we present to you. The breweries in Tourpes, Pipaix, Dendermonde, Ninove and Gooik are radically different from one to another—reflecting their unique histories and communities, their varied regional brewing traditions and local architecture. Dupont is a farmstead in Hainaut in a sweetly rural setting. Dubuisson is a proud elegant pantile-roofed brewery complex on an ancient Roman road. Slaghmuylder presides like a little commercial fiefdom over the small municipality of Ninove—itself situated on the medieval trade route between Flanders and Brabant in the ancestral grain belt of Belgium. Nearby in East Flanders on the mouth of the River Dender, the Dilewyns Brewery is starkly modern but the emblem on their labels makes reference to Ros Beiard, the heroic horse who saved his masters from capture by Charlemagne. De Cam occupies a barn on the grounds of a museum of folk life in Gooik, “the pearl of Payottenland,” in the heart of Lambic country. It is a setting right out of Breughel. Seeing how different the settings and styles of the breweries are, it is impossible to deny that there is truth to the notion ofterroir in beer. The more you know, the better these beers taste. Join us in exploring them all. Aroma Thyme has been the leader of the craft beer restaurants in the Hudson Valley. Aroma Thyme opened in 2003 with a firm dedication to true craft beer. “Since day one I have gone out of my way for great independent owned craft beer”, says Chef/Owner Marcus Guiliano. The beer list has grown to over 250 beers without the big brands that fill most restaurants lists. But it’s not only beer at Aroma Thyme, it’s all about having one of the best stocked bars with independent producers. The Bistro has an award-winning wine list from Wine Spectator Magazine. Aroma Thyme is Three Star certified green by The Green Restaurant Association. Chef Guiliano has been an advocate for over 13 years on healthy, sustainable, local & real food. Zagat says “Stealth Health”. He found his mission in cooking when he reversed a handful of medical conditions including 28 years of asthma. For more information visit www.chefonamission.com.www.aromathymebistro.com.